Do YOU or someone you know want to learn more about FASHION? Want to LEVEL UP your drawing and creative skills ? Trying to get into a Fashion Program? If you answered yes, to any of these questions, read on. I may have JUST the program you are looking for. I work with young Fashion Designers-in-training and Sewing Enthusiasts wanting to take their skills to the next level. In 2008, my life changed, when a friend, told me that her daughter’s friend wanted to learn how to sew. I had been staying at home after the birth of my daughter. Before she was born, I had a thriving couture bridal business and also a successful career as a pattern maker & pattern making instructor. Here, I was figuring out how to be a mom and trying to carve out a part-time work life that fulfilled me and kept my schedule flexible. I knew I could teach, I liked teaching & I had mad skills from all my work experience (and training). So I met with this 8 year old student and found that she was passionate about sewing and fashion. She had already been watching Project Runway and even started Draping on a display dress form that her mother bought for her. This was totally eye opening to me. Maya wanted to study Fashion; not just sewing but FASHION. I totally understood what it was like to be a fashion designer stuck in a kid’s body! At that moment, I knew I could help young people like Maya, realize their inner designing dreams by teaching them how to sew, draw and study fashion. Maya and I started meeting weekly, working on sewing projects together. At just 8 she really GOT it! She loved fabric, color and knew what she wanted to make. At first it was just she & I, then our group grew and I was soon filling up my house with 8, 9 and 10 year-olds looking to sew in their spare time. Eventually, Maya’s mom convinced me to run a summer camp program. I had never taught that many children at once before, but it didn’t stop me. I developed curriculum, found the perfect place to hold my fashion camps and then put the word out there to everyone I knew and to anyone who would listen. We did everything in this sewing camp, not just sewing. We designed & studied fashion in addition to sewing and that was the KEY. We even had a runway fashion show at the end of the week. My first Summer Camp program was a complete success and I’ve been building on it ever since, growing my business steadily each year and eventually opening up The Sewing Room. Over the last six years The Sewing Room as been open, we’ve continued teaching Fashion Sewing Camps, added more and varied camps as well as branching out into after school & adult sewing as well. But for the most part we’ve been focused on Sewing, Sewing and more Sewing. This year, Maya started studying Fashion at Central St. Martins in London. And after ten plus years of teaching, I still come back to fashion design. Many of our students are auditioning or applying for Fashion School - this is at all levels from Middle School through College. And YES, as you’ve read above people sometimes KNOW (and I mean KNOW IT deep within themselves), from a very young age that this is what they want to do. So I’m launching a new program to serve those people. The focus will be on study of Fashion Design. We’ll incorporate the fashion exercises we do in camp, but on a deeper level, weekly. This will happen in month-long sessions, just like our sewing classes, but I’m encouraging my students to make a commitment of at least 3 months to see actual results. What I do with children as well as my adult students takes time. It’s not about overnight success by any means. Students feel empowered by making a commitment and following through. If you get into the HEART of what I really do and why, you’ll find I teach my students how to be fashion designers, either as a professional goal or a personal one. I teach them the skills they need to fulfill their dreams big or small. I guide them and help them build these skills which gives them CONFIDENCE. I also give my students the opportunity to learn skills they might not learn until they go to COLLEGE. This give them a “TASTE” of what THAT might be like. The process often motivates students to move to the next step, educationally, or sometimes emboldens them to learn more about it for their own personal JOY. In either case, when they work with me, students gain the CONFIDENCE and SKILLS they need to make that decision. In this class we will focus on the clothes we wear & how they get made, from concept through creation. Each month students are given a different theme, creating mood boards and sketch designs for each theme, throughout the month. The first half of each class will focus on Design Skills - Drawing, fashion sketching, color palettes and putting a collection together. The second hour will focus on sewing skills and garment construction, which may or may not relate directly to the monthly theme. Each student will have a sketchbook (provided) & design binder (also provided) that will be reviewed weekly. Sketchbooks will travel back and forth from home to class and students will be required to sketch for 5 hours a week in addition to class time sketching and instruction. Design binders will house designs, loose papers and sewing samples. 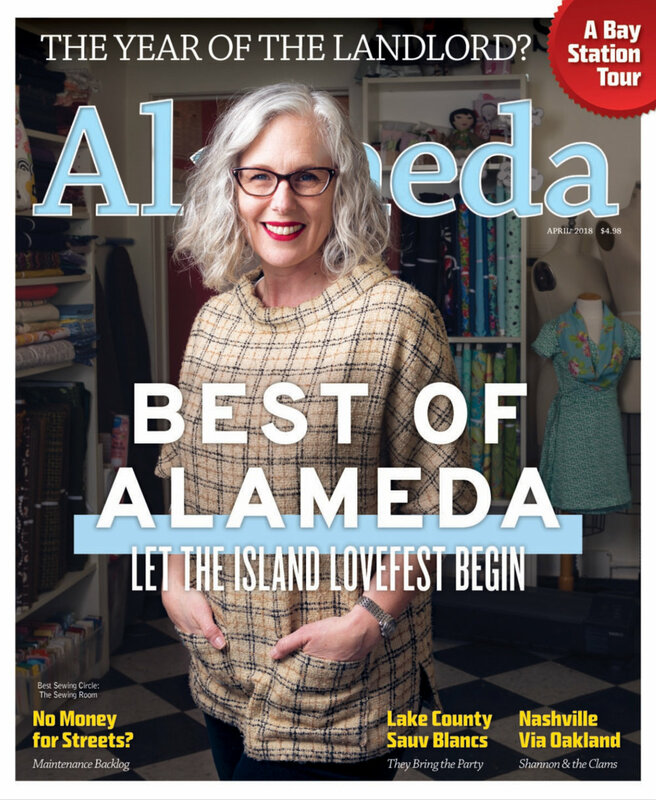 Students may also choose to enroll in a second weekday of after school sewing or weekend sewing for a 50% discount (a discount code will be sent after student registration). Sewing can often be the biggest hurdle to overcome when learning about Fashion Design. As a technical skill, sewing, challenges the hand/eye coordination, uses 3D concepts and requires a lot of practice to gain skill. It’s a good idea to have an extra day a week to focus on the PRACTICE OF SEWING. After School Sewing Classes run on Monday, Tuesday, Thursday and Friday and we have two Studio Sewing Classes on Saturday. We have a Teen Sewing After School Class (for middle and high school students), however Fashion Studies students are welcome in any of our after school and weekend Studio Classes. 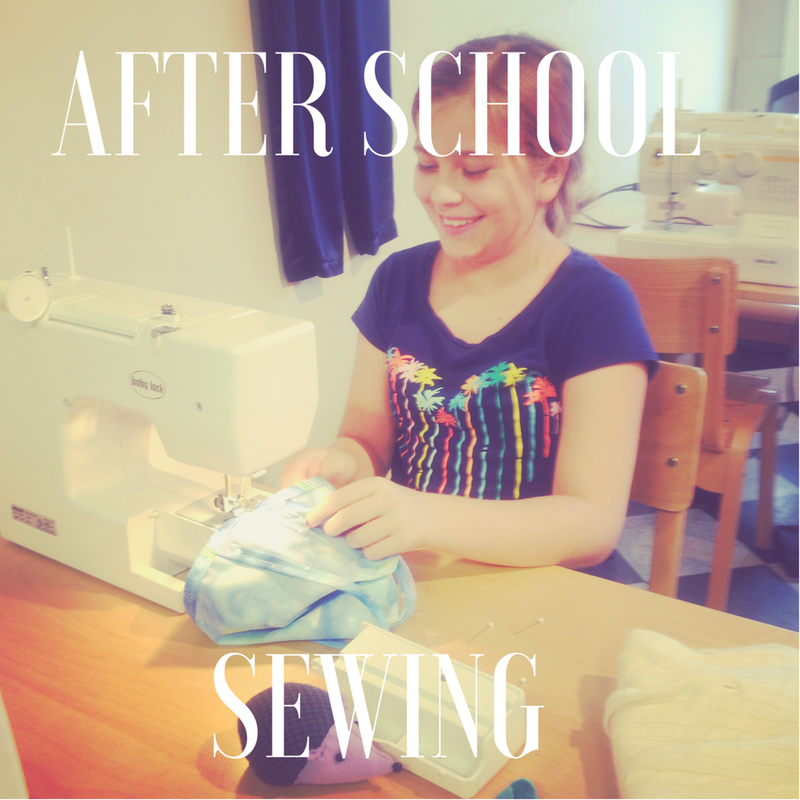 Students who enroll in A Focus on Fashion, Get 50% off each additional day of After School Sewing they sign up for.